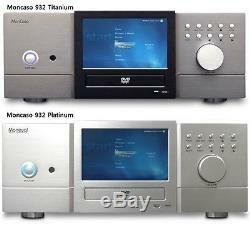 MonCaso 932 LCD 7inch Touch Screen Home Theater Chassis (Titanium color). Elegant Home Theatre PC chassis featuring a 7inch LCD touch screen monitor. Remote control, DVD-ROM/COVER, Setup Program not included. CASE Size: 435 (W) x 471 (D) x 158 (H). Compatible PSU size: Standard ATX. Compatible motherboard sizes: ITX / M-ATX / Standard ATX. 5.25' Bay ODD 1EA. 3.5' Bay HDD 4EA. 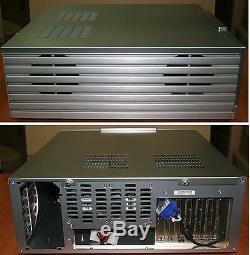 4 x 80mm cooling fans (Backside 2EA, HDD Bay SIDE 2EA). Front I/O ports: 1 x USB, 1 x Firewire (1394), 1 x Mic, 1 x Headphones. Card reader: MS/Pro/Duo, CF/Micro drive, MMC, SD, SM compatible. The maximum height of a CPU cooler that can be used is 130mm. The maximum length of the VGA is allowed to 265mm. 7 Wide LCD, Maximum Resolution : 1024 x 768, Screen Output : RGB Output, Power Input : 12V DC, Touch Screen LCD. Remote Control, ODD cover is not included. Touch screen operation / XP / Win 7 / Win 8.1 / Win 10 / all possible. Driver / manual / software CD offer. Taken directly to the touchscreen YouTube. Build your own home theatre PC, state of the art media center in the trendy Silver MonCaso 972 HT/PC case and become the envy of all your friends. This case will compliment its' surroundings while allowing you to personalize your home theatre PC with the components of your choice using the flexible layout provided. The highlight of the MC972 is the 100% Aluminum hydraulic door, for 100% WOW factor. 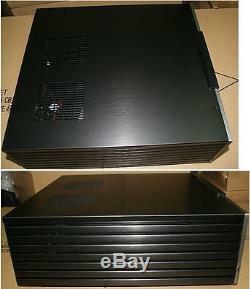 Specifications are as follows: Case Type: Home Theatre PC. Case Dimension: 17w X 18.5d X 6.75h; Color: Black/ Silver; Material: Aluminum; M/B Type: Standard ATX; PSU Type: Standard ATX; LCD Touch Screen: 7-inch Screen Size; 15:9 Ratio; 800 X600 (Recommended Resolution); External D-Sub Video Input; Internal USB touch screen input; Remote Control Unit: MonCaso Remote Control; Rear Exhaust Fan: 2, 80mm pre-installed fans; Intake Fan: 2 over HD area; External 5.25-inch Bay: 1; Internal 3.5-inch Bay: 4; Expansion Slot: 6 Front Panel I/O: MIC, Headphone Jack, 1- IEEE1394, 1-USB 2.0, Media Card Reader, Volume Knob, Media Control Button Operating System: Windows XP/7/8/9/10. 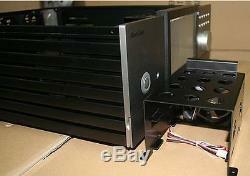 Full size ATX Home Theater chassis. Supplied with 7 touch screen LCD monitor. Great for high-end media systems. 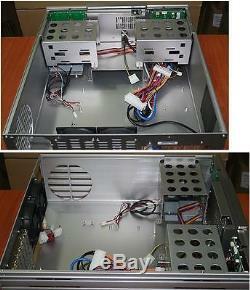 Accommodates full size ATX motherboards and PSUs. Elegant looks with thick aluminium fascia. Available in three different finishes. A state-of-the-art media centre is entitled to an equally state-of-the-art Home Theater PC chassis. The Moneual MonCaso 932 HTPC chassis is an elegant full-aluminium enclosure that exudes quality and style that will complements and living room. With expandable storage space and full compatibility with all Windows Operating Systems, The Moneual MonCaso 932 HTPC chassis is peerless in functionality, as well as in design. At the rear of the chassis you will notice two 80mm case fans. These fans are designed to extract the warm air generated by the internal components. Cooler air from out of the chassis is brought into the chassis from the numerous ventilation points. The PSU and Hard Drives have their own ventilation points. Cooler air from outside of the chassis is brought in and blown through the components. This aids in keeping the PSU and HDDs as cool as possible. To improve HDD cooling even further it is possible to add an 80mm fan to both HDD cages. The image below shows the route of the airflow through the chassis. Available under two flaps either side of the optical drive are I/O ports and a supplied Multi-media card reader. If you plan to use a fanless graphics card that uses heatpipes then make sure the heatpipes do not extend over the top of the card. If they do then it will not be possible to install the roof of the chassis. The only other thing to consider is the optical drive. The aluminium bezel supplied with the chassis does not fit all optical drives. Moneual recommend LG and Lite-On optical drives. 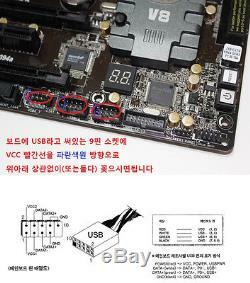 Unfortunately the Samsung drive we provide is not compatible. If you are planning to use a Blu-ray optical drive it is recommended that you opt for a motherboard that is 194mm deep. This is because most Blu-ray drives are 200mm deep which will prevent a full size ATX motherboard (240mm deep) to be installed at the same time as a 240mm deep motherboard. This is why a motherboard of 194mm deep is recommended when using a Blu-ray optical drive. The item "Moneual MonCaso 932 LCD 7inch Touch Screen Home Theater Chassis(Color Titanium)" is in sale since Thursday, October 1, 2015. This item is in the category "Computers/Tablets & Networking\Desktops & All-In-Ones\PC Desktops & All-In-Ones". The seller is "viva_seller" and is located in SUWON-SI,. This item can be shipped worldwide.